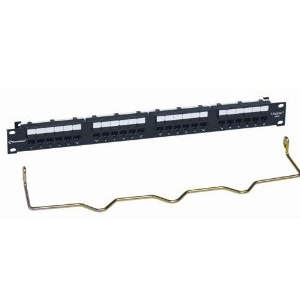 The UNP610 patch panels now include integrated label holders and a new rear wire management bar that can be quickly mounted directly onto the rear of the panels without any hardware. The bar can be installed from the rear of the frame or attached to the panels prior to being mounted. The UNP610 panels are available in 12*, 18, 24 and 48 port versions and are designed to mount into standard 19-inch racks and cabinets. The panel back consists of craft friendly color-coded gas-tight insulation displacement connections. Design features include termination options for either T568A or T568B wiring schemes.